There was Lauchin' Tam an' "Curly" an' the ane we ca'ed "The Loon,"
Wi' his sowf an' pech an' fosel, fit to wreck the hale platoon. But I winner fat they're thinkin' i' the Glen, o' Neuve Chapelle." "In memory of the men of this parish and district who died for right and country in the Great War." (M.A., 1904) Woodside? Acting Sergeant, G Company, 4th Battalion Gordon Highlanders, killed in action in Belgium, on 20 July 1915, aged thirty. He was a son of the Rev. William Allardyce (M.A., 1877), minister of Rothiemay, and was a solicitor in Aberdeen with the firm Hunter & Gordon, Advocates. Company Sergeant Major, 8th Battalion Canadian Infantry, fell in action in France, 9th Aug. 1918, aged 27. Trade: motorman. Son of Robert and Annie (nee Gauld) Adam, Ternemny Cottage, Knock. William Angus Ramsburn Private, 2nd Battalion Gordon Highlanders, fell in action in France, 4th Oct.1917, aged 28. Private, 4th Battalion Gordon Highlanders, fell in action in France, 20th Sept.1917 Occupation: Farm Servant. Private, 1st Battalion Royal Scots Fusiliers, fell in action in France, 24th Mar.1918. Son of Mrs Largue, Boghead, Drumblade. Robert Clark Knock Private, Labour Corps., Died Home 23rd May 1918, aged 18. Son of Alexander and Annie M. Clark. George Dingwall Inverisla Private, 7th Battalion Gordon Highlanders, Died 30th July 1918, aged 23. Son of John and Jane Dingwall, Inverisla. Gartly Lance Corporal, 1st Canadian Mounted Rifles (Saskatchewan Regiment) killed in action 7th April 1917, aged 28. Son of John and Jane Dingwall, Inverisla Cottage. Occupation: Fireman. William Donald Marnoch Private, 4th Battalion Gordon Highlanders, killed at Loos in Flanders, between 25th and 29th September 1915. He was an Arts student and a son of John Donald, carpenter, Milltories, Rothiemay. He had been previously twice wounded in June. William Duncan Moss-side Private, 6th Battalion Gordon Highlanders was killed in France on 25th Sept. 1915, aged 24 Son of Adam & Jessie Duncan. Sergeant, 5th Battalion Gordon Highlanders died 23rd April 1917. Private, 66th Machine Gun Corps, died of heart failure, aged 23 Salonika 30th March 1918. Son of William & Jessie Stewart George. 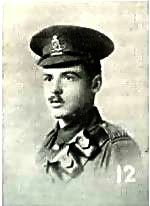 George Horne Craigmoss Sergeant, 43rd Battalion, Canadian Infantry, fell in action in France, 8th Oct.1916, aged 25. Occupation: Carpenter. Son of Alexander and Margaret G (Raeburn) Horne. George Jessiman Muir of Kinnoir Private, 27th Battalion, Canadian Infantry (Manitoba Regiment) died 15th Sept. 1916, aged 26. Son of James and Jane Grant Jessiman, Muir of Kinnoir. Private, 9th Battalion Royal Scots, died 24th May 1917. George Mitchell Inverkeithny 202596, L/Cpl., Killed in Action 12th February 1917. Private 1st Scots Guards, Died 9th October 1917, aged 19. John Munro Cairnie Private, 1st Battalion Gordon Highlanders, died 17th July 1916. Private 43rd Canadian Infantry (Manitoba Regiment) Killed in action 8th October 1916, aged 24. Son of Mr. Henry A. and Mrs. Jane McBain. Occupation: Carpenter. Acting sergeant, 6th Battalion Gordon Highlanders, DCM MM, died of wounds in France,19th Nov.1916, aged 23. Tarryblake Piper, 2nd Battalion Gordon Highlanders, fell in action, 1st July 1916, aged 33. Occupation: Farm Servant. Son of William and Isabella Scott. Brother of above. Alfred W. Sharp Milltown Private, 3rd Battalion Gordon Highlanders, died Home 10th Nov.1917, aged 19. Son of Alexander Sharp of Milltown. John Smith Glennie House L. Cpl, 5th Battalion Gordon Highlanders, 'A' Coy 4th platoon, Military Medal, killed 12th April 1918, aged 21. Son of James and Mary Jane Smith, Glennie House, Mayen. Alexander Stephen Keith Private, 16th Battalion Highland Light Infantry , died 15th Sept. 1917, aged 27. William Gauld Stephen Keith Acting Corporal, 6th Battalion Gordon Highlanders, died 25th Sept. 1915. Alexander Thompson Woodland Fell in action in France, 14th Nov.1917. James Duncan (Grange) Private 28th (North-west) Battalion, Canada Infantry, killed in action 21st August 1917, aged 26. Son of Mrs. Annie Brown, The Lodge, Tarryblake. Private 44th Battalion, Canada Infantry, killed in action 9th May 1917, aged 25. Occupation: Teamster. Son of Mrs. Mary Kiloh, Keith. Private NZ Machine Gun Battalion, killed in action 3rd October 1918, Son of Mrs. Annie Thom, of Dunedin, New Zealand. NOTE:- This list has been assembled from multiple sources and is as accurate as possible given the limited information available. If you have further information or corrections, or can fill in any gaps, please let me know.